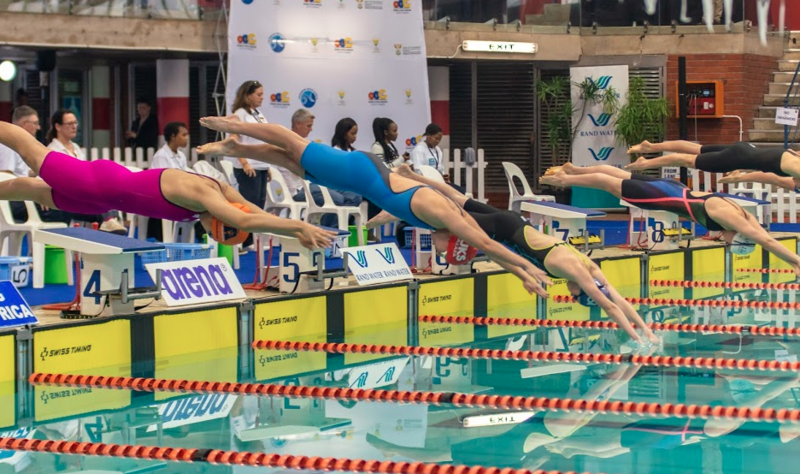 Commonwealth Games bronze medallist Ryan Coetzee, Rio Olympics finalist Brad Tandy and talented youngster Rebecca Meder all dipped below the world championship qualifying marks in their respective events at the SA short-course championships in Durban on Friday. The 16-year-old Meder of Cape Town qualified for her first senior world championships when she posted a qualifying mark in the 200m individual medley in the morning heats. She posted a time of 2min 12.35sec in winning the event during the evening finals to beat breaststroke specialist Tatjana Schoenmaker to the wall. Schoenmaker finished second with 2:13.11 with Marlies Ross bagging bronze in 2:13.27. Coetzee won the 50m butterfly with a time of 22.99sec as Tandy touched second in 23.12. Doug Erasmus finished third in 23.60. Olympic gold medallist Chad le Clos, who already qualified for the world championships in the 100m freestyle, also dipped below the qualifying mark in the 50m butterfly during the morning heats. Zane Waddell, who already qualified in the men’s 100m freestyle won the 100m backstroke final with a time of 51.63sec. He was followed by Jacques van Wyk (52.70) in second place and Leith Shankland (54.36). Erin Gallagher, who already booked her place for the championships in the 100m freestyle, added the 50m butterfly to her repertoire. She won the sprint event in 26.07sec with Tayla Lovemore finishing behind her in 26.32. Emma Chelius bagged bronze by clocking 27.69. Ayrton Sweeney won the men’s 200m individual medley in 1min 57.96sec with Ruan Ras finishing second with 1:59.96 and Damian Mullen taking bronze in 2:00.08. Meanwhile, some of the country’s brightest young stars took time out to tell Team SA’s MARK ETHERIDGE how their championships were progressing. ‘I’m very happy with the times I’ve been swimming… they’re exactly my converted times from what I did at the Commonwealth Games. ‘I’m pretty happy, not feeling too great but my times are perfect, so that’s a good thing. I’m excited for the 100m tomorrow [Saturday] and the 50 the next day. I only swam the 200 on the first day, so, all in all, I’m super happy and also happy with the 200 IM today. ‘I’m over the moon for finally breaking my own South African and African record in the 100 free. It’s been a tough couple of months leading up to the competition but last night before my race I refused to let 16-year-old Erin beat the 19-year-old Erin for another year. ‘I first broke those records when I was 16 in 2015 and I haven’t been anywhere near that time I swam when I was 16… so last night I just thought to myself, how can the 16-year-old version be faster than the 19-year-old version! ‘Swimming the qualifying time would’ve meant breaking the South African and African record so it was the perfect opportunity to choose either qualifying or going for the records, if I achieved the one – the other would happen simultaneously. ‘Having qualified on the first night certainly relieves a lot of the pressure for the rest of my events. Obviously, I’m still hoping to qualify in the rest of my swims that I am entered in but at least I can enjoy them at the same time now! I’m really excited for the rest of the competition to see who else will qualify! ‘I’ve been battling a lot with my health, I’ve been to seven sessions of swimming in the last month and a half because every time I got better and started to swim again, my immune system would just shut down. ‘So I got the B qualifying time in my 100 free and I was really happy with a 55.52 because it was a personal best for me. ‘Obviously, I want to get as close to the qualifying time as possible for each race so I’m happy with a PB because that’s as close as I can get. And tonight I placed second to Mariella Venter in the 100 back, and my finals were faster than my prelims – 1:01.83 which I’m excited about as it is also another personal best time. ‘I was very happy with my form for these two races. I’m feeling strong in the water and these times put me in a good place for the future as I’m only 16 years old. My fastest 50 fly time was a 27.9 and I’m happy with that because I find that a fun race to swim as it is not my main race. ‘In the 4×50 freestyle relay tonight I went first and swam a 25.9 with no warm down after the 100 back and 50 fly finals which was a solid swim, considering the consequences, and our team came second in this relay. ‘I’m mainly focusing on my mindset for each race, to keep myself strong and positive. I’m taking this gala day-by-day to focus on each race as it comes, as I’m swimming a few races each day. ‘Overall, I’m very happy with my form for each of my races because I’ve trained hard leading up to this gala, and I’m feeling light and strong in the water. ‘With regard to my improvements, I take each race individually, so if there are improvements needed after a race, I will work on them, as I’m meant to be in top form coming into this gala.